We are working towards making Thumbs Up! 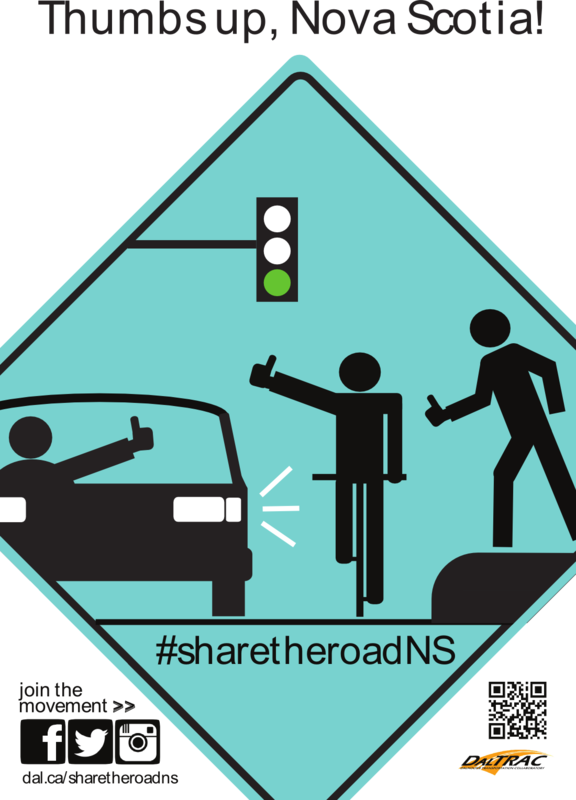 Share the Road Nova Scotia become a community-based, positive, interactive & social media initiative, representing both urban and rural concerns, that is adaptable by any municipality. We encourage those interested to start establishing a Share the Road campaign in your community! Under Share the Road 101 we have outlined steps you can take to get started. If you have any questions, please do not hesitate to contact us.